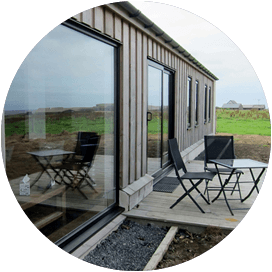 Book your holiday at Grukalty Orkney self catering accommodation. Available for the first time, a unique new property. Built, furnished and equipped to a very high standard. 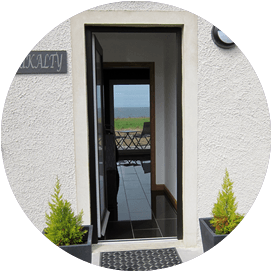 Its main attribute being its fabulous uninterrupted views out to sea. 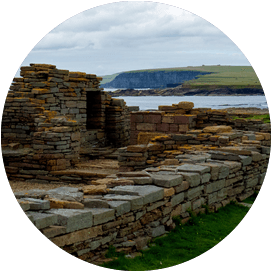 Perfectly located in Birsay – "The Ancient Capital of Orkney". Yet close to the wealth of attractions that Orkney has to offer. Free local loch fishing and archaeological sites are located nearby. As are coastal walks from the Point of Buckquoy to the Brough of Birsay, an old Norse settlement which can only be accessed by foot at low tide. Past the Fishermen's hut and boat nousts at Skippi (Skiba Geo) onwards to the Whalebone erected in 1876 and beyond to Longagleeb, an impressive Geo. Check our availability calendar and book your stay at Grukalty.